Manitoba PC leader Brian Pallister presented BU Bobcat Kaela Cranston with the Pallister Women's Athletic Award, worth $595, on Wednesday, Jan. 20, 2016, as Midland MLA Blaine Pederson and Brandon East PC candidate Len Isleifson look on. Pallister, a former BU Bobcat in the 1970s, set up the scholarship with a $10,000 donation in 2014. A Brandon University Bobcat got a different sort of on-court assist over the lunch hour on Wednesday, when she was presented with the Pallister Women’s Athletic Award. 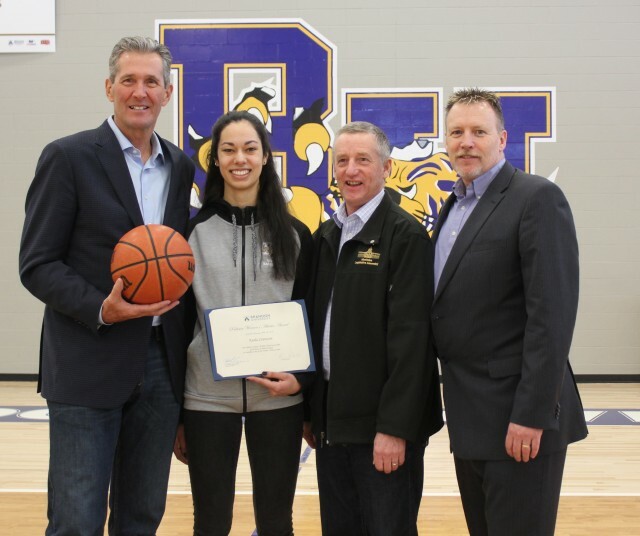 Kaela Cranston, a fifth-year guard/forward on the BU women’s basketball team, was presented with a certificate from Brian Pallister, who established the scholarship in 2014. The scholarship is given out on the recommendation of the Athletic Director on the basis of athletic promise to a member of any of the women’s Bobcat teams. It is worth $595 this year. Pallister, leader of the Manitoba Progressive Conservative Party, stopped by Brandon University to present the scholarship to Crantson in person. He was joined by Midland PC MLA Blaine Pedersen and Brandon East PC candidate Len Isleifson. 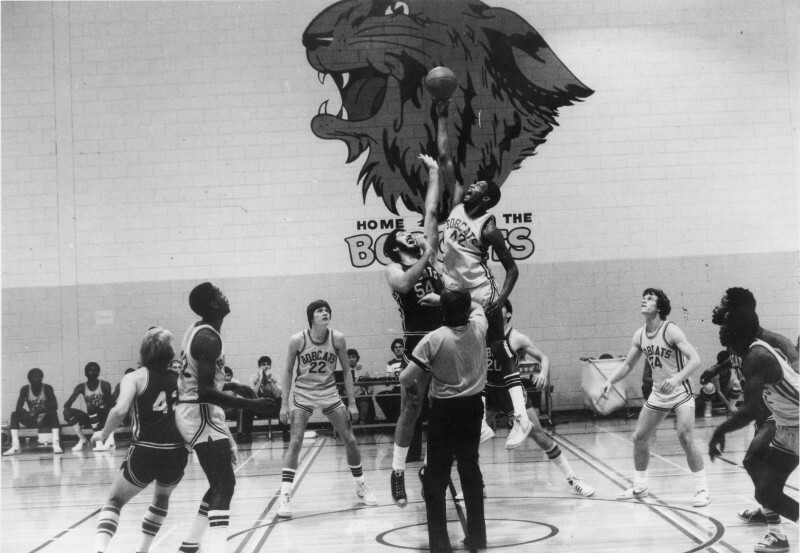 In the 1970s, Pallister also played for the BU Bobcats. Brian Pallister, wearing No. 54, goes up for the tip-off in this undated file photo.